What makes road trips intriguing? Well for starters they are unpredictable, they are adventurous, and the adrenaline rush that you get from simply heading off and exploring the vagaries of nature is truly exhilarating. We have scanned several places through the annals of this colourful nation and come up with some of the best road trips for you. Well we had to start with the most notable route from Manali to Leh, an unparalleled experience, so much so that there are several tour companies who arrange bike trips along the way. With roads open from May to mid Octobers, the roads often witness the tyre marks of several bikers who travel the path during these times. A truly mesmerising experience, this is definitely once in a lifetime trip not to be missed. Route: Manali- RohtangPass- Khoksar- Sissu- Tandi- Baralacha la- Sarchu- Tanglangla pass- Upshi-Leh. Travel tips: Get a full tank at Tandi, since there is no gas station for another 365kms till Leh and you can stop at Khoksar to eat. Stay overnight at Manali to acclimatise with the altitude and also at Keylong, Darcha, or Jispa to cope with the high passes along the way. Carry chocolates, glucose, and high energy food and avoid spending too much time at the high mountain passes. Essential Gear: Raincoats, woollens, high energy food, solar chargers, a mini first aid kit. A 300 km stretch replete with heritage, lush green landscapes, breath taking views, and stunning wildlife from Bandipur to Mudumalai to Masinagudi. Sink into history with the Mysore palace and the many gothic structures strewn across the city and see nature unfold as you travel further south along the Western Ghats. 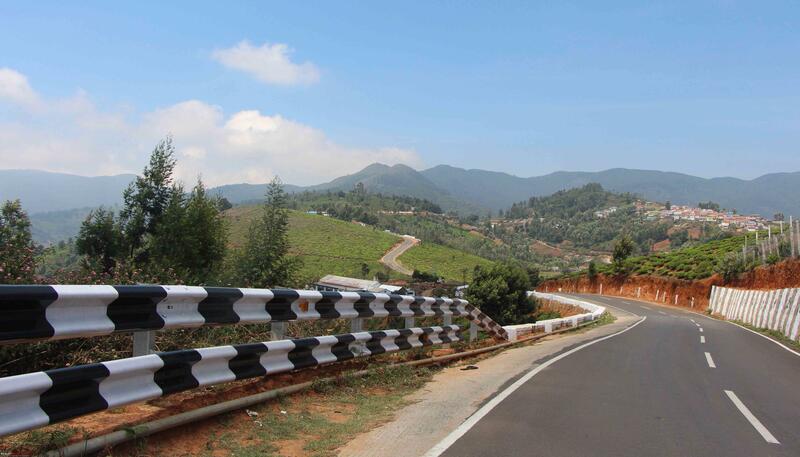 Travel Tips: Take the ring road from Bangalore, it is a four lane highway to Mysore and from there travel along the Coimbatore-Ooty-Gundlipet highway to Bandipur. Essential Gear: Dry Snacks, Power Bank. This picturesque route is often missed by many who opt for the helicopter ride from Guwahati to Tawang. A breathtaking trip to some of the travel gems like Bhalukpong, Dirang ,Sela pass and Tawang. Travel Tips: Get an inner line permit for Arunachal Pradesh before embarking on this trip. Essential Gear: Dry Snacks, Power Bank, mini first aid kit, woollens. Routes: Jaipur- Kishangarh- Ajmer-Jodhpur- Phalodi- Pokhran- Chandan- Jaisalmer. Travel Tips: Wear comfortable clothes and travel in winters because summers can be very harsh. Essential Gear: First aid box, sun block, goggles, solar chargers. Feel free to add your best road trips.